It All Starts With The Wool! Our process begins with our wool source. We searched from coast to coast to find ranchers that not only had the purest wool but enough of it to meet the ever growing demand for our wool bedding. We also wanted to be assured that the sheep that wear our wool are raised and shorn humanely and that the land they graze is healthy. With the help of Fibershed, a group that develops regional and regenerative fiber systems through carbon farming, we found the perfect match. Enter Jim Jensen of Jensen Ranch. We have never partnered with a company that is older than our 125 year woolen mill until we entered an agreement to buy our wool through Jensen Ranch. 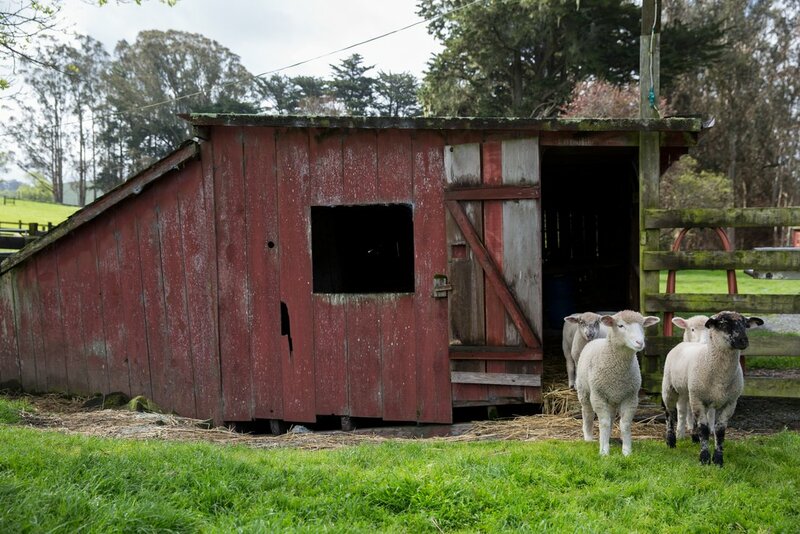 Since 1856, the Jensen family has run sheep in coastal, beautiful Tomales, CA. Begun by Joseph Irvin, the ranch tradition of sheep is continued with Bill and Jim Jensen, 5th and 6th generation ranchers. The only thing that equals the quality of their wool is their commitment to farming practices that are good for the earth. Enjoy this feature about our wool partner!